Like all relationships, each breakup is unique and challenging in its own way. No matter how long the relationship lasted or how serious it was, every loss hurts, and there are times when it seems as though your heart will never recover. Yet, somehow, it always does. As difficult as a breakup may be, the heart is a resilient muscle capable of regaining strength and even loving again. But if you're not quite there yet, that's okay. "Grief is normal; most of us wouldn't really want to be so callous and jaded that we would not feel affected by loss," says Sherry Benton, PhD, founder and chief science officer at Tao Connect. However, recognizing whether your grief is healthy and whether you may be experiencing depression after a breakup is important, according to Benton. "Depression is more debilitating and pervasive, with constant negative thoughts about everything, not just the breakup," she explains. If this sounds familiar, allow Benton answer the questions you might have about dealing with depression after a breakup. 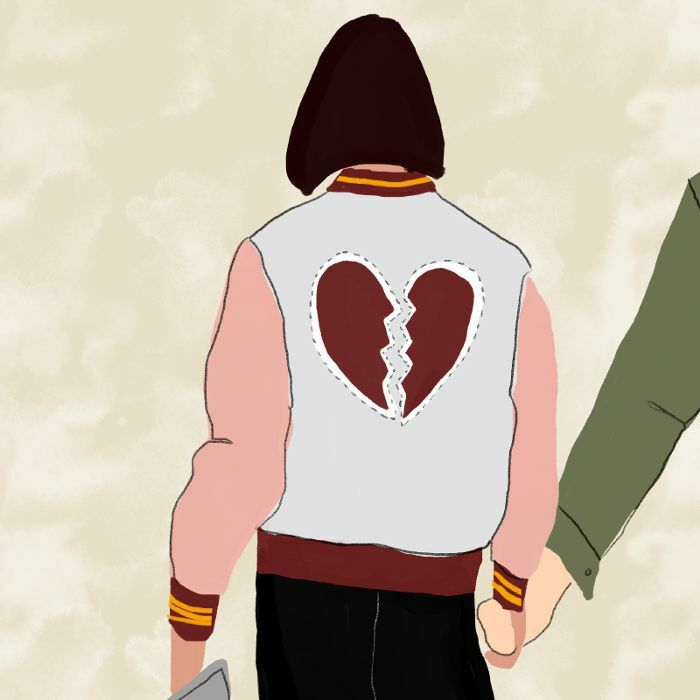 Why Are Breakups So Difficult? Simply put, "the more important a relationship is to us, the more painful the breakup is likely to be," says Benton. The more time and emotion you invest in a partner, the more challenging it can be to move on and learn to be single again. Additionally, Benton points out that it tends to be more difficult when the breakup was not entirely your own decision. "It is much more painful to be the breakup recipient than the breakup initiator," she says. However, no matter the cause, all breakups can be challenging. It's important to remember that your feelings are valid, but you'll get through this. "It's important to distinguish grief and depression," according to Benton. While both emotions cause things like sadness, insomnia, and loss of appetite, a person who is experiencing grief will feel these symptoms alleviate over time. Depression is more complicated. "The feelings are constant and overwhelming," Benton explains. Additionally, there are often feelings of guilt and shame attached to depression and may be about more than just the relationship loss. The good news is that these challenging emotions are not permanent and there are plenty of ways to move through them. "Accept the process you're going through and be good to yourself," Benton states. As with most things in life, the best approach is to be kind to yourself no matter what you're going through. "Most people do best when they alternate between letting themselves feel the sadness and grief and then distracting themselves with fun, work, friends, and activities." According to Benton, this can actually lead to a gradual improvement in mood. It's also important to have a support system around you to work through these emotions with and serve as a welcome distraction from them. It can be helpful to confide in a friend but also allow them to distract you with enjoyable activities, Benton explains. "There are those rare occasions when someone finds their soul mate early in life, but most people experience a whole series of relationships and friendships before we find one satisfying for the long term," she says. This is one aspect of a breakup to focus on in order to shift your mindset and view the loss as a positive situation. Benton also suggests focusing on what wasn't really working. Ask yourself, "What part did you play in the problems?" and "What did you learn about what you are really looking for in a relationship?" Once you start asking these questions, you can begin to let go emotionally and start thinking about the possibility of finding a partner to create an even better relationship with (and that's pretty exciting). Question: Is It Normal to Still Love My Ex?